Who ever thought that an actress can play a damsel-in-distress and yet deliver a blockbuster performance? 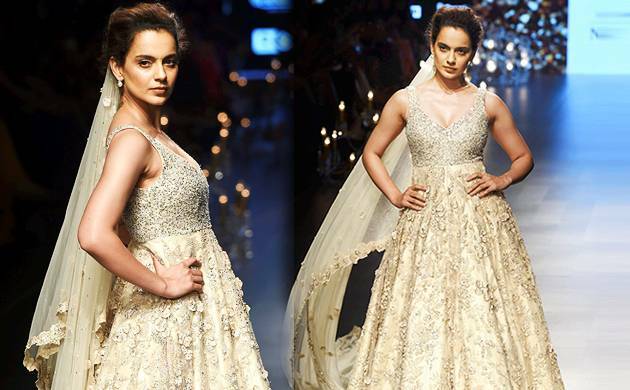 Kangana swept the audience off their feet as an under-confident Rani Mehra, who embarks on her honeymoon all by herself. The diva played the role with conviction and added her own spark to the character. It was her fine portrayal which kindled hopes among small-town girls to never bow down. The Vikas Bahl directorial won the power packer performer The National Film Award for the best actress in 2015. Kangana’s stellar performance as a fading supermodel in Madhur Bhandarkar’s Fashion earned rave reviews from the critics. The actress played the role of a Shonali Gujral, who loses her place in the industry due to competition. Kangana stood out in the drama film and received the National Award Film for best supporting actress in 2009. Kangana Ranaut made a splashing debut in Bollywood with the romantic crime film, Gangster, an Anurag Basu directorial. The actress played the role of emotionally intense Simran who falls in love with two people, a gangster and a layman. Ranaut won the Filmfare best debut award for her earnest performance in 2007. It’s not easy to pull off two contrasting roles in one film but Kangana Ranaut made it seem like a cakewalk. The actress played the role of the sassy Tanuja Trivedi and no-nonsense Datto in Tanu Weds Manu Returns. Fans instanty fell in love with Datto, a girl from Haryana who dared to challenge the shackles of the society. Even critics couldn’t stop gushing over Ranaut’s talent and acting prowess. Simran once again proved why Kangana Ranaut is considered one of the best actresses in the industry. The actress surprised everyone with her portrayal of free-spirited and fun loving Praful Patel. Ranaut’s stellar performance made the critics call her the ‘strength’ of the Hansal Mehta directorial.